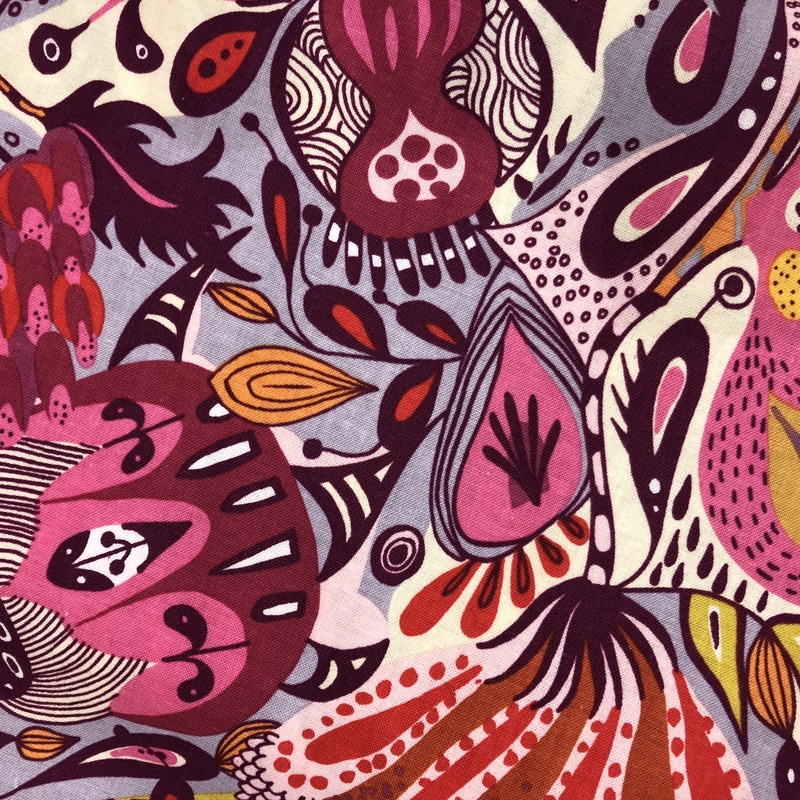 Take a closer look… this wild and wacky design has little birds hidden amongst the seed heads and sweeping foliage. 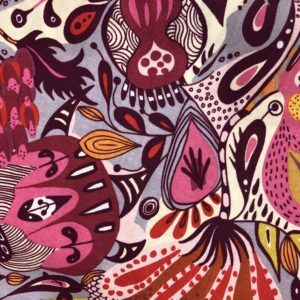 Pink, red and orange are combined with lime, lilac and burgundy in bold, brave splashy doodles to great effect ! 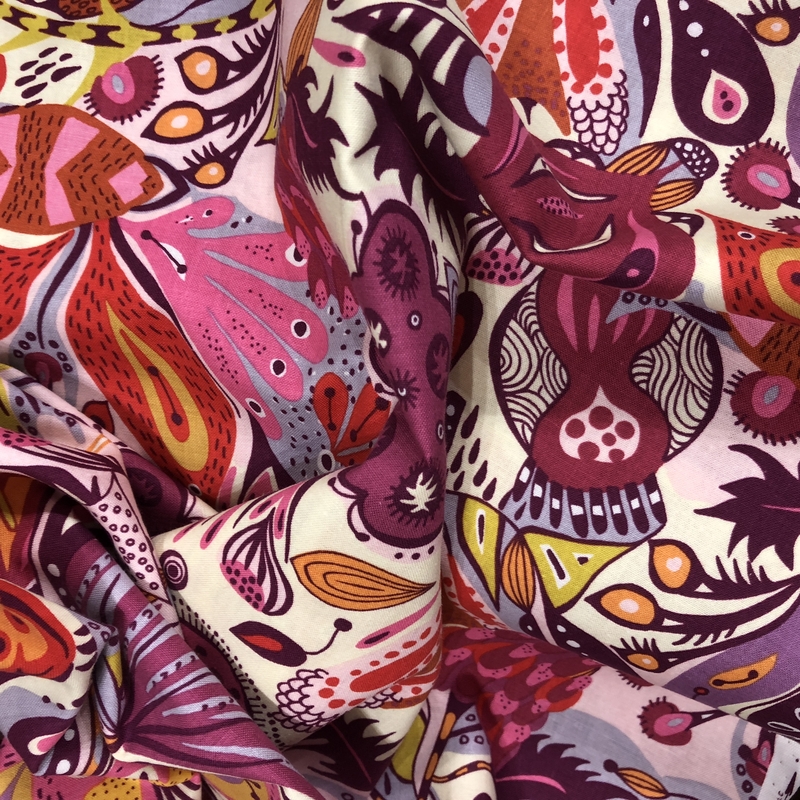 Don’t forget-this gorgeous fabricwon’t hang around for long and when it’s gone it’s gone, we’ll move on to the next exciting print!